Quite simply, Lanzarote is a beautiful island! It has an average year round temperature of 25°c, stunning landscape and gorgeous beaches making it the perfect holiday destination. Lanzarote offers something to suit every type of traveller. Sun lovers have a multitude of beaches and coves to choose from as well as the swimming pool where they are staying. Adventurous visitors can choose from various outdoor experiences and sporting activities such as wind surfing, paddle boarding, sailing, diving and of course cycling walking and running. The island is literally bursting with life and has its own marvellous and distinct character. If you happen to be visiting when one of the local fiestas is happening, which is pretty much every month, make sure you join in! The island has lots of white sand, black sand and pebble beaches. The most popular beaches are of course in the key tourist resorts of Playa Blanca, Puerto del Carmen and Costa Teguise but the city of Arrecife and Famara also boast their own beautiful beaches. Some beaches are more for sport due to winds and tide but many offer a great place for families to be. If you go a little off the beaten trail, you are sure to come across secret little coves and beaches. 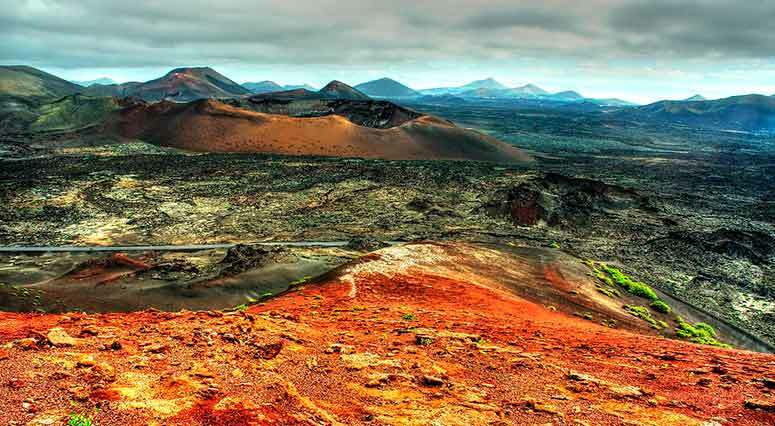 Volcanic in origin, Lanzarote has a stunning lunar landscape. You will notice it most in the region of Yaiza where the Timanfaya National Park (Monanas del Fuego) is located. The volcanos are definitely well worth a visit. Whilst most of the volcanos are extinct there are some that are still active. The island owes much of its beauty to native artist César Manrique and his vision for the island still has considerable impact on Lanzarote’s tourism, conservation, culture and architecture. 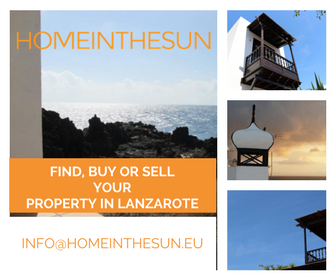 Lanzaroteños are incredibly proud of his achievements and are dedicated to preserving their natural heritage, culture and traditions. Lanzarote was declared a Biosphere Reserve by UNESCO in 1993.